Chitral De Silva, Deputy General Manager Branches, Seylan Bank, opening the Eheliyagoda branch. 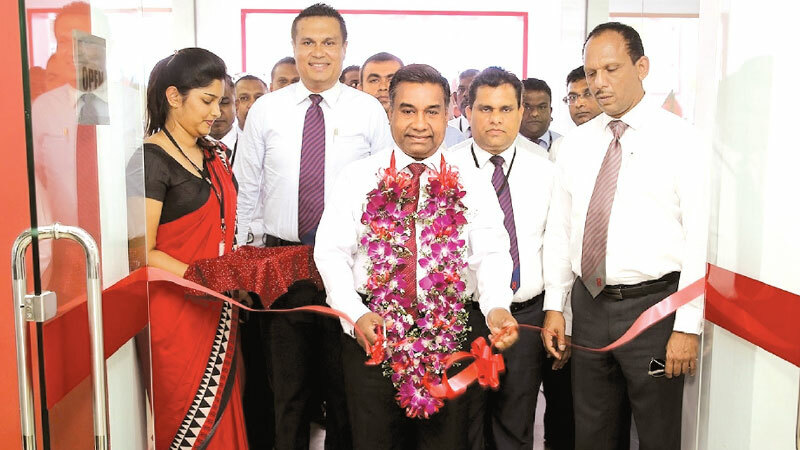 Expanding its branch network to offer a comprehensive and accessible banking experience, Seylan Bank opened its latest branch in Eheliyagoda recently. Located at Avissawella Road, Eheliyagoda, the launch of the new branch is part of Seylan Bank’s drive to increase its island-wide presence to make convenient banking more accessible to all Sri Lankans. The new branch will cater to the banking needs of both retail and business customers in and around the Eheliyagoda. Further, customers can now avail services ranging from Current and Fixed Savings Accounts, Home Loans, Leasing facilities, Pawning, Credit Cards, Remittances, NRFC/RFC Accounts and many others, in a hassle-free manner. Seylan Bank, over the years, has introduced many industry firsts, and invested significantly to enhance its offline and online banking offerings to add more value to its customers. Withits 30-year milestone, the bank is on a drive to introduce innovative financial solutions that will further personify the Bank’s motto ‘The Bank with a Heart’ to its valued customers. In addition, Seylan Bank also handed over its 164th Pahasara Library to the Eheliyagoda Primary College. This was done under Seylan Pahasara, its flagship CSR Program, which operates with a vision to uplift rural schools by providing necessary resources and technological support.